Toots Thielemans is of course a big name in jazz, and very great musician, but for myself, I will remember him as someone who inspired our generation, and who made us dream of what was possible. He had gone off to the US, he had played with Charlie Parker and Miles Davis - the greatest of them all. He proved to us that anything is possible if you follow your dreams. He deliberately kept up very good contacts with the younger generation. He wanted to know what we were doing, being the godfather of Belgian jazz. Even though he collaborated with the biggest names, he was never self-important. 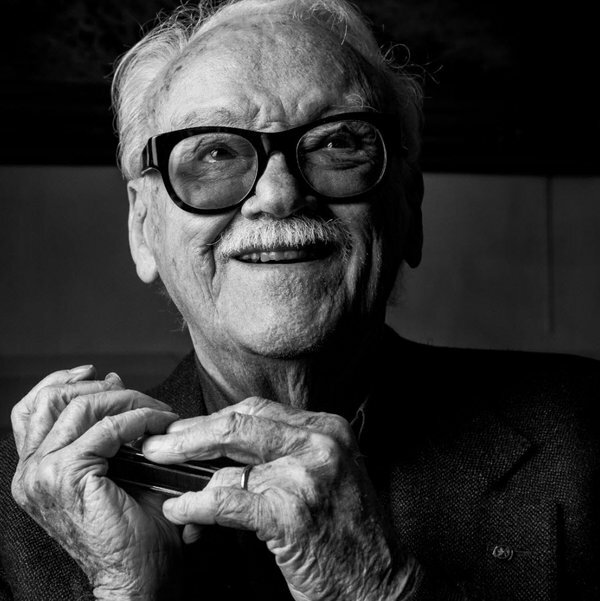 I remember him leaving a message on my phone on January 1st some years ago: He played some notes on his harmonica first and said: „Jef, Toots here, happy new year man!”. That was so typical of him. Musically, to me, Toots was the man of the big melodies. He had a gift for working wonderful melodies into a piece of music, without making it artificial. And also the way he introduced the harmonica in the jazz was something ground-breaking, nobody thought that it could happen. I played a few times with him on private occasions and in jam sessions and I remember from these moments how communicative he was. Some artists on stage just want to be the shining star; he made others shine. Of course, his death wasn’t really unexpected. We all knew what we could expect it sooner or later, once he had announced that he would to retire from performing two years ago. He just had to be on stage, no matter what. That became very clear when he -several months after his announcement, during a hommage for him at Jazz Middelheim he suddenly appeared on stage and played - even though his management advised him not to play. Luckily for us, he always followed his own instincts.